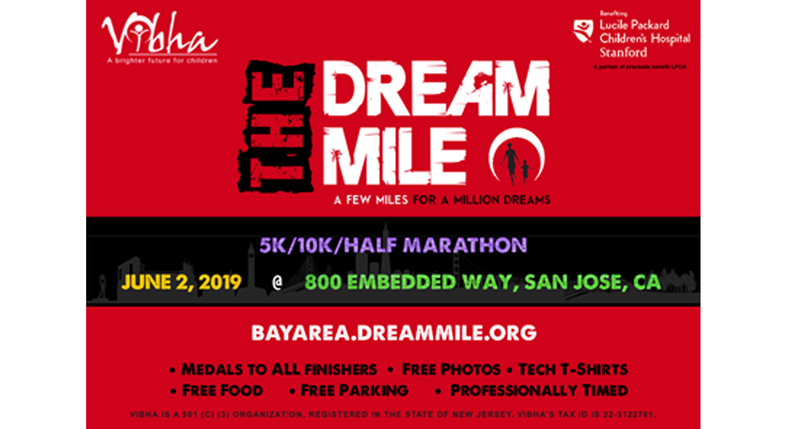 Join Vibha Foundation for their 21st annual Dream Mile 5k, 10k, and half marathon! A portion of proceeds from this year’s event will benefit Lucile Packard Children’s Hospital Stanford. To participate or learn more, visit thedreammile.org/bayarea.